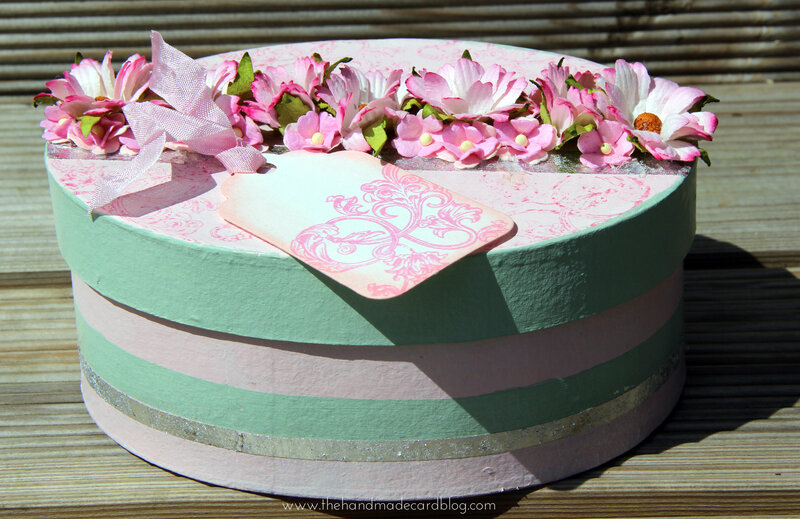 Just sharing another couple of projects that I made for my Demonstrations for Indigoblu.. I have a set of 3 x nesting oval boxes and have decorated the large and smaller of the 3… hope to complete the 3rd one next weekend when I travel up to Inverness next weekend for another Demo. 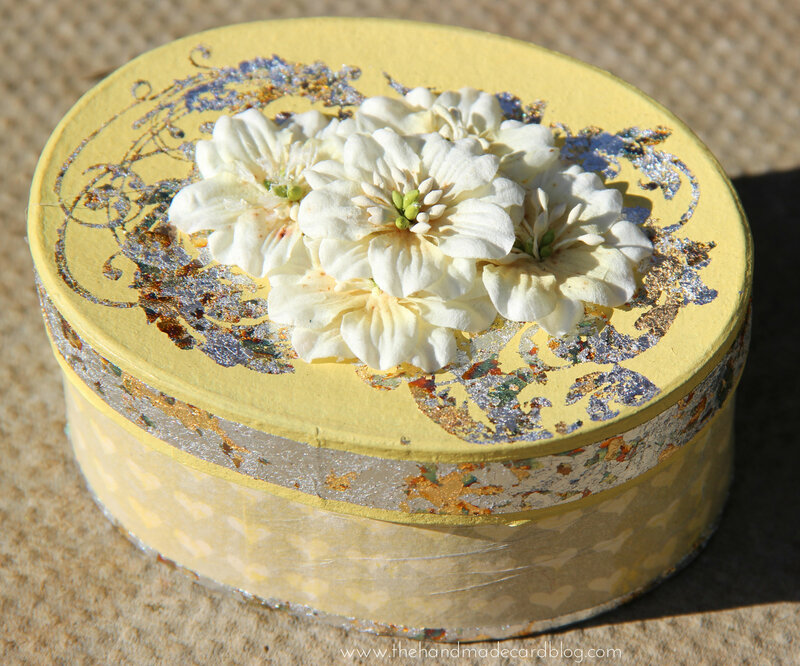 First up is the Large Oval Box..
to finish the box I embelished the top with some mulberry chrysanthemums and sweetheart blossoms from Wild Orchid Crafts. I used the gorgeous Banana custard acrylic paint along with some winter dawn megaflake… this wee box is just too cute for its own good! 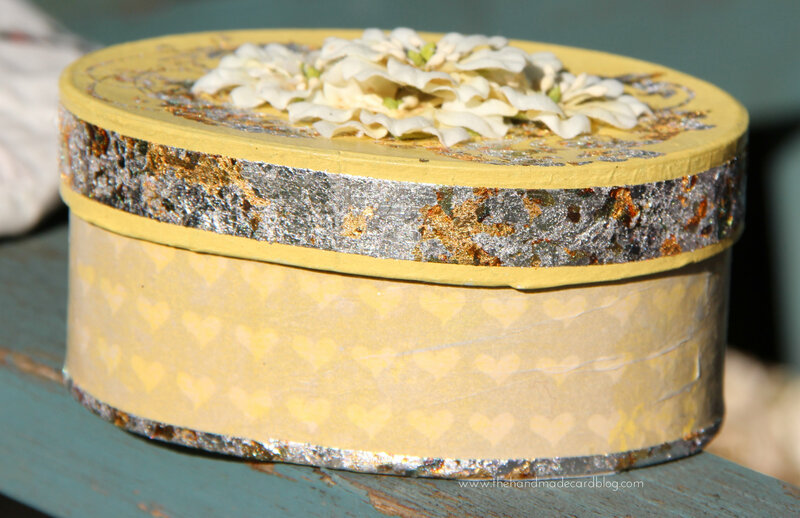 I also used some of the decoupage papers I bought yesterday and the box is topped off with some Prima Athena flowers.. Previous postA Bird in the Hand….. I got good glue coverage on my lid by flitterglu’ing my stamp on a slim jim, then leaving it on my desk stamp faced up, then I took the box lid and pressed it down onto the stamp (rather than stamping onto the box lid) that way you are guaranteed a good impression ..